Starcia Ague (WSU, Criminal Justice, 2010) is currently a Youth and Family Advocate Program Administrator with the Washington State Department of Social and Health Services in the agency’s Juvenile Justice and Rehabilitation Administration. This position entails working to ensure that Washington’s juvenile justice system actively engages incarcerated youth through offering empowering programs and through the use of administrative measures that build on the strengths of incarcerated youth. Her goal of empowering at risk youth is one of the reasons Ague decided to work toward a degree in Criminal Justice from Washington State University in 2007-8 after serving time in the state’s juvenile correctional system. While as a student at WSU, she was an invited participant in the Washington State Bar Association’s Annual Access to Justice Conference in 2009 in Wenatche. Ague helped develop and implement training for defense attorneys (public defenders and pro bono lawyers – in collaboration with Washington Supreme Court Justice (ret.) Bobbe Bridge — focused on the importance of informed advocacy for protecting children’s rights in times of economic hardship. In the area of lobbying and public policy advocacy, Starcia provided lead testimony for Second Substitute Senate Bill 6561 that became law in April 2010. That law affords juvenile offenders the opportunity to overcome their past juvenile criminal records after consecutive years of exemplary behavior. Ague spoke at the Washington State Juvenile Defense Leadership Summit that year on the role of juvenile defenders in reform through advocacy efforts aimed at legislative, administrative and court rule avenues of reform. Starcia was the 2009 recipient of Washington State’s third annual Spirit of Youth Award while still a student at WSU; this award recognized the accomplishments of once-incarcerated youth. Starcia currently serves on the Governor’s Washington State Partnership Council for Juvenile Justice. She is the first juvenile ever in the state of Washington to receive a pardon from the Governor for felony offenses committed in her youth; this pardon makes it possible for her to work directly with at risk youth, both during and after their confinement. Starcia was further honored with the 2012 Champion for Change Award by the prestigious John D. and Katherine T. MacArthur Foundation for her advocacy on behalf of at risk youth, and most recently her article on the importance of education for incarcerated youth was published in the Harvard Educational Review. Starcia has given invited addresses in Nebraska, Maine, Massachusetts and Washington DC. ; she has served as a reviewer for the legendary Boys Town youth facilities in Nebraska. In 2013 and 2014 she was appointed to the Federal Advisory Committee on Juvenile Justice for the Office of Juvenile Justice and Delinquency Prevention (OJJDP) in the U.S. Department of Justice, representing Alaska, Oregon, Hawaii and Washington. Starcia was also selected as a 2014 SOROS Justice Fellow by the Open Society Foundation. 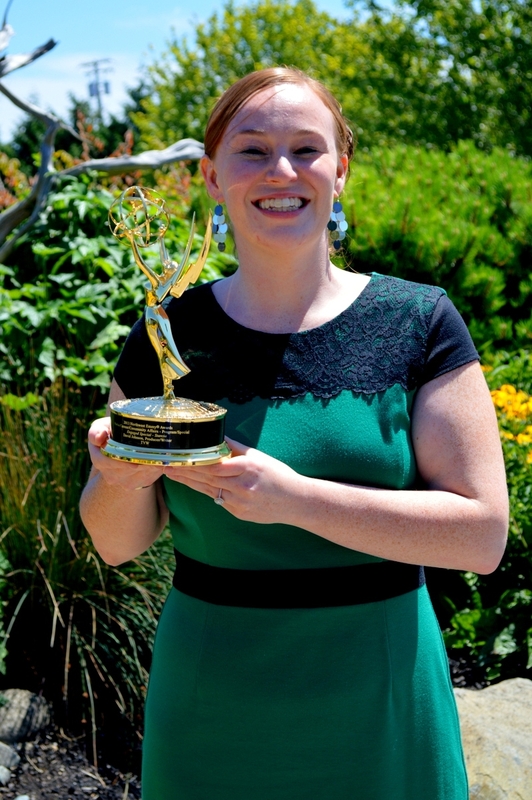 A documentary produced by TVW simply entitled “Starcia” recently won a NW Regional Emmy. Interviews with WSU faculty and graduate students in Criminal Justice are prominently featured in that documentary; if you would like to see a promo for the documentary (and more) you can visit starciaague.org. You can view the entire documentary by going to the TVW website.